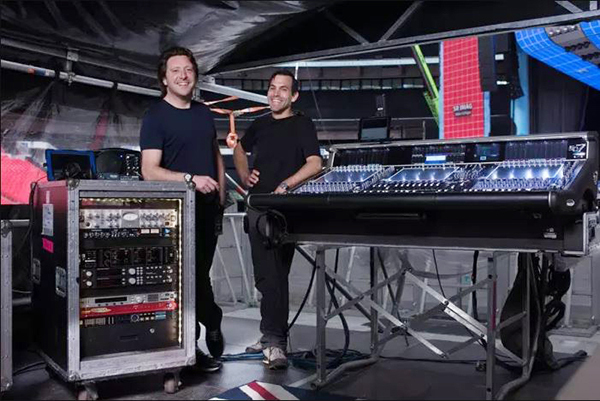 The picture shows the equipment rack used for the recent Ed Sheeran tour, with Charlie Albin (Audio Systems Engineer) and Chris Marsh (FOH Engineer). In the rack is a Sonifex Redbox RB-DA6G analogue distribution amplifier. Charlie commented: "The Redbox offers a great balance of functionality and reliability in a compact unit that fits neatly in our touring rack. The front panel controls and adjustable gains ensure that setting up audio splits for media recorders and cameras is simple and fast." For more information, please email sales@sonifex.co.uk call +44 1933 650700 or go to the Redbox RB-DA6G webpage at http://www.sonifex.co.uk/redbox/rbda6g_ld.shtml.